WORKSHOP ON BLESSED JOSEPH VAZ. 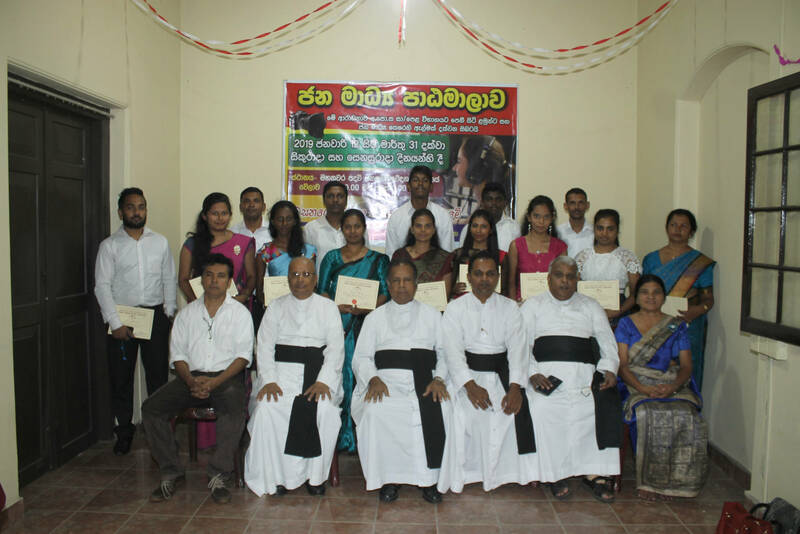 In order to celebrate the Tercentenary of the Heavenly Birth of Blessed Joseph Vaz meaningfully, a workshop had been organized for the priests of the Diocese of Kandy from 21st – 23rd February 2011 at the Retreat House, Halgashena, Hanwella. The following talks were given in order to animate the priests for further action. Rev. Fr. Edward Christy Fernando. Rev. Fr. H. Nerio Abraham. Each talk was followed by a lively discussion and clarification. Group discussions were held at vicariate levels in order to forward the plan of action. Finally the plenary session was chaired by His Lordship and the following suggestions were made to focus on for the next 3 months. Showing the Blessed Joseph Vaz film to School children, Youth & Adults at main church & outstations followed by discussions. Evangelization Committees have to be revived in all parishes to follow the lapsed, sick, newly baptized, newly married & of inter faith marriage couples. Either consolidating the existing committees or from new committees. Lenten Education Programme to focus on Blessed Joseph Vaz. encourage chanting of pasan & organize competitions. Allocate one day Novena during Church Feasts to the life & ministry of Blessed Joseph Vaz. Translate the book of Fr. S.G. Perera into Sinhala. Encourage Reconciliation between individuals & groups with the assistance of the Family Apostolate. Make prayer cards & literature on Blessed Joseph Vaz available at the Laity Centre & Catechetical Centre, Kandy . Radio & T.V. 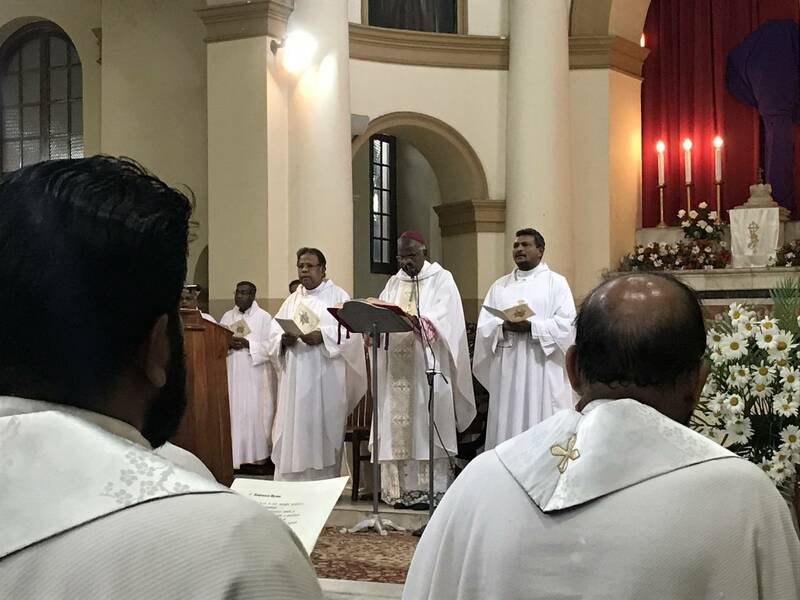 channels to be utilized for the promotion of Blessed Joseph Vaz – Rev. Fr. Gabriel Gunasekaran & Rev. Fr. Sudath to follow it up. Parish day for Blessed Joseph Vaz will have to organized before the 11th January 2012 . Organize once a month (First Fridays) Novena to Blessed Joseph Vaz with healing services. The lay groups can have weekly Novenas on Blessed Joseph Vaz. The National Level Celebration for the Tercentary Year of the Heavenly Birth of Blessed Joseph Vaz . The National Level Celebration for the Tercentary Year of the Heavenly Birth of Blessed Joseph Vaz was celebrated on 15th January 2011.